NEW YORK, NY--(Marketwired - Mar 21, 2014) - ProPhase LLC today announced that Stella Karantzoulis, PhD, joined the company as the scientific lead for neurocognition. Dr. Karantzoulis specializes in the neuropsychological evaluation of memory disorders, dementia, and other neurobehavioral syndromes. Dr. Karantozoulis joins as the scientific lead for neurocognition to build on ProPhase's recent commercial successes in partnering to deliver highly customized solutions that support clinical trials in over 60 countries, in all phases, across 18 primary indications. She comments, "This is an exciting time for Alzheimer's disease clinical research. The current emphasis on early diagnosis, early intervention, and the identification of disease-modifying therapies has led the field to reconsider traditional approaches for designing and implementing clinical trials. ProPhase has a proven track record of applying scientifically driven methodologies and technologically advanced approaches to solving problems in psychiatry trials. I am extremely excited to work with ProPhase to advance clinical trials in Alzheimer's disease and other neurological illnesses." "Representing over 30% of our work last year, neurocognition, and Alzheimer's disease in particular, are key focus areas for us in 2014," said Sofija Jovic, president and COO. "We are excited to welcome Dr. Karantzoulis from our network of external key advisors into our core team to accelerate the application of the solutions we have developed and refined over the years." "Dr. Karantzoulis' work in this area provides her with terrific experience in the practical measurement problems confronting neurocognition research," said Dr. Michael Allen, vice president of medical education. "She is very familiar with the issues of heterogeneity and instability in the populations of interest as drug development reaches farther back in disease progression and aims for disease modification." 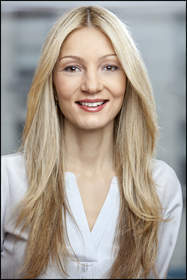 Dr. Karantzoulis is a board-certified neuropsychologist who obtained her masters and doctorate at York University, Toronto, interned at Mt Sinai and completed a clinical fellowship at NYU, where she is an assistant professor in the Department of Neurology and associate director of the Pearl Barlow Center for Memory Evaluation and Treatment. ProPhase is a specialty services organization focusing on applied measurement in CNS (psychiatry, neurology, sleep and pain disorders, and rare/orphan diseases). ProPhase's services support all measurement-related activities in clinical trials and their industry experience is unparalleled. For more information visit www.prophase.com.